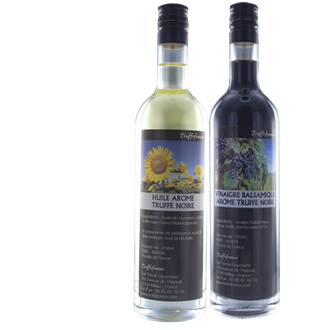 1 truffle aroma sunflower oil + 1 truffle aroma Balsam vinegar to use together for your vinaigrettes or alone. Ingredients oil:sunflower oil, black truffle aroma. Ingredients vinegar: Balsam vinegar, black truffle aroma, conservative E224.